Step 1. Simmer the onion, garlic, tomato sauce, vinegar, tomato paste, salt and Worcestershire sauce until the onions are soft. Step 2. Add the sugar, spices and alcohol. Stir until the sugar has dissolved. Step 3. Blitz the mixture in a blender and pour into a jar. It can be kept in the fridge for up to a week. Steps 4 & 5. Pull the membrane off the back of the ribs and pat them dry. Let the ribs rest in the fridge for a few hours in an open dish. (This helps to dry the meat out and makes the ribs crispier, but it is not essential.) Brush liberally with the marinade. 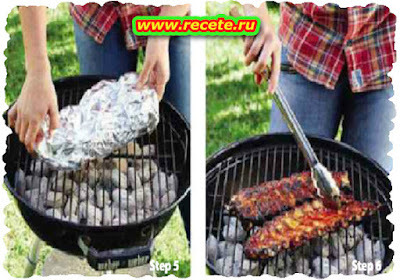 Wrap the rib parcel in 2 layers of foil and place on a cool kettle braai. Replace the lid. The secret is a slow, steady heat.Turn the parcel every now and then. Step 6. 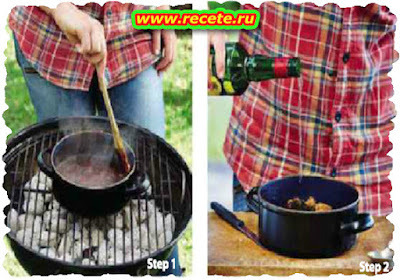 After an hour, remove the parcel and add more coals to the braai. When the coals are hot, remove the ribs from the foil, brush with more marinade and return to the braai for about 30 minutes.Turn the ribs frequently and baste them with the marinade until they are charred and crisp on the outside. Preheat the oven to 150 °C Pull the membrane offthe back ofthe ribs and pat dry. Place the ribs on an oven tray and brush liberally with half the sauce. Bake for an hour. Let the ribs cool down before braaiing. They can be kept for up to 2 days before the braai. 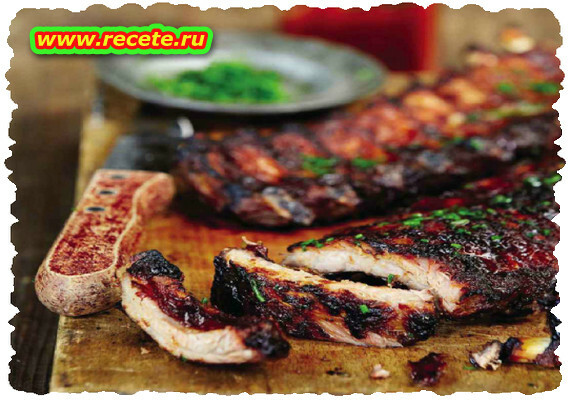 Prepare the coals and baste the ribs with the marinade. Braai for about 30 minutes, turning and basting frequently until they are charred and crisp on the outside.